Welcome to the Run Life's Course Hope for the Homeless 5K/10K Run/Walk Challenge with Kid's Run! 3 Medals for 2 Races!!! 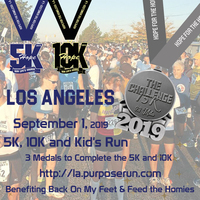 Run/walk with hundreds of community-minded and socially conscious participants to advance awareness and provide proceeds to local initiatives focused on the prevention and elimination of homelessness in Los Angeles charity Back on My Feet. Nestled in Culver City, this electronically chip timed USATF-certified 5K/10K Walk/Run is being held to experience fun with friends, family, locals and tourists for a great cause. Receive the commemorative medal (while supplies last), t-shirt, photos and lots of refreshments to keep you hydrated and rejuvenated. Register today for $45 for the 5K and $55 for the 10K. It's family friendly so register kids for $20 for the 1K Fun Run. Let's make a huge difference and sign up with your companies and lots of family and friends to fight homelessness across the city of Los Angeles with the proven charity Back on My Feet. Great for new moms and dads who run with strollers! Prizes offered in different age categories. 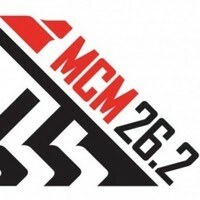 Packet pickup will be at Road Runner Sports on August 30, 2019 from 12PM - 6PM. Please note Race Day pickup will be 30 minutes before the start.